Leave the mundane behind whenever you wear this refined bracelet from the Classic Chain collection by John Hardy. Links of sterling silver form a rope that is doubled placing a loop at one end. A fashionable hook, etched with the classic chain motif, clips to the loop to secure the piece comfortably on the wrist. 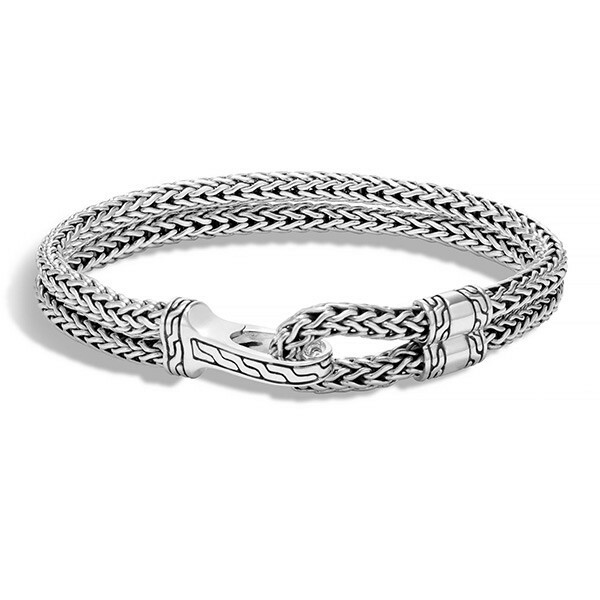 This subtle John Hardy bracelet is a great accent for any look.